BISHKEK, August 26, 8:20 /ITAR-TASS/. Border guards of Central Asian countries of Kyrgyzstan and Tajikistan engaged in a shootout again. The incident has occurred near a village in Lyailyak district of the republic, Kyrgyz border service told ITAR-TASS on Tuesday. “Tajik border guards tried to place a border checkpoint at state border section not agreed upon beforehand,” the press service said, adding that “At this time citizens of a neighbouring country from the village of Ovcha-Kalacha tried to destroy a bridge across Gulkandoz River by an earth-moving machine. Kyrgyz residents went mainly on the bridge to the homeland.” Kyrgyz border guards demanded dismantlement of the bridge should be stopped and a new border post should be removed from the non-established border section. 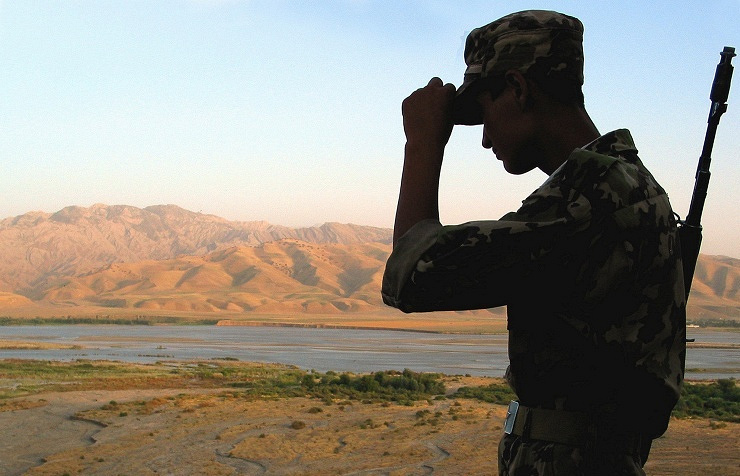 Tajik servicemen opened fire at them in retaliation. “Tajik side used mortars in the clash,” Kyrgyz border service confirmed. 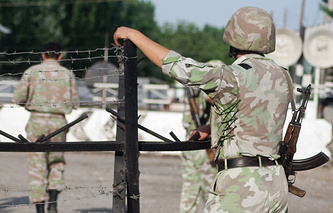 The situation on Kyrgyz-Tajik border remains “tense”, Kyrgyz border guards said. This is already third clash between border guards of the two countries this year. One serviceman was killed and around ten were wounded in these clashes.